A Silicon Valley startup created by some of the most notable names in self-driving cars is turning to a new Chinese automaker to put its technology on the road. Aurora, whose co-founders developed self-driving technology for both Google and Tesla, announced Feb. 5 a partnership with Byton, a new electric car company based in Nanjing. The two companies will integrate Aurora’s autonomous technology into Byton’s vehicles, first as a pilot project, then if all goes well, in full production. Aurora, based in Palo Alto, boasts among its founders Chris Urmson, who for years led Google’s self-driving car project, and Sterling Anderson, who steered Tesla’s Autopilot system to its 2015 introduction. Byton’s management team, meanwhile, has its own deep pedigree. Co-founder and CEO Carsten Breitfeld headed development of BMW’s i8 luxury plug-in hybrid. President and co-founder Daniel Kirchert was managing director of Infiniti China. While Byton has its headquarters in China and is building a factory there, the company maintains a technology lab in Santa Clara and a vehicle design center in Munich. Byton displayed its concept electric sport utility vehicle at the CES technology show in January and drew attention mostly for the vehicle’s dash — a single, 49-inch-long touch-screen. A smaller touch-screen sits in the middle of the steering wheel. 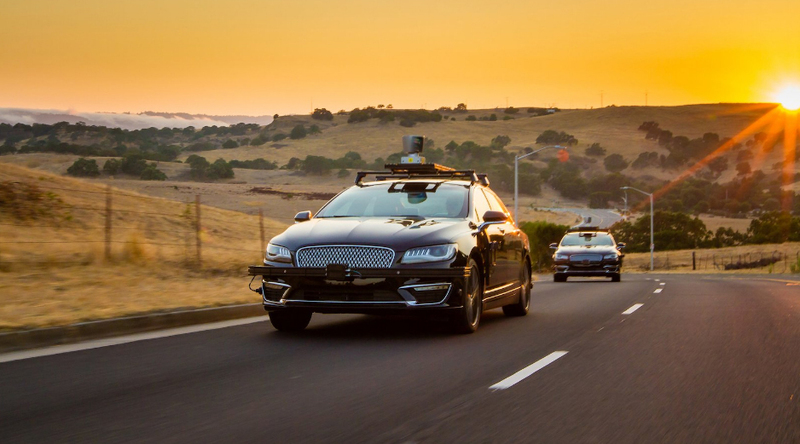 Together, the two companies plan to create a self-driving car from the wheels up, rather than tacking sensors and autonomous programming onto an existing model. “Carsten and his team have this tremendous vision for what that vehicle can be,” Urmson said Feb. 5. Aurora has already formed partnerships with established automakers Volkswagen and Hyundai to develop autonomous vehicles. Most of the world’s major car companies are either signing partnerships with self-driving startups or trying to develop the technology themselves. In some cases, they’ve done both. Breitfeld said Feb. 5 that for Byton, a partnership offered the fastest way to bring autonomous cars to market. Byton plans to begin selling cars in China late next year, expanding to the United States and Europe in 2020. When production begins on their first vehicle, the cars will feature level 3 autonomy, meaning they will be able to drive themselves much of the time but will still require their human occupants to take control in particularly tricky situations. Aurora and Byton plan to progress to level 4 — meaning the vehicles will be able to drive themselves in most situations while giving humans the option of taking control — in 2020. “We’re going to be working as hard as we can to get it there,” Urmson said.